We at PCMarc also provide data recovery service. Data recovery is the process of salvaging and handling your data from damaged, failed or corrupted storage media such as hard disk drives, solid-state drives, USB flash drive or memory cards. It is very time consuming process connected with long disk analysis and scanning. We use several tools to perform data recovery service to make sure we recover everything what is possible. If you accidentally deleted your data, or your hard drive has been damaged due to overheating or other issues we can help you to recover your data. When your data to be recovered have been physically overwritten on a hard disk drive it is generally assumed that are no longer possible to recover. So it is very important to contact us as soon as possible if you accidentally deleted your data or experienced hard drive failure. Otherwise data recovery service may be difficult to perform and we won’t be able to recover all of your files. Data recovery service by PCMarc requires a short visit at your location to collect damaged media (hard disk, usb, memory card). 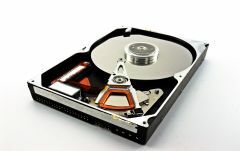 The whole process of data recovery is being performed at our office and requires few days to complete. What is the common reason of data loss? The most common reason for loss of your data is either computer virus or overheated hard disk (especially in laptops). Also the user action such as accidental data delete. What should I do if I deleted a folder and want to perform data recovery service? You should shut down your computer immediately to avoid data being overwritten and contact us as soon as possible. Otherwise you won’t be able to recover all your data. I dropped my hard drive accidentally. Will you be able to recover my data? In most cases yes. Most probably your hard disk will be damaged due to bad sectors and you may have replace it, but we still be able to recover your data. Every hard drive will crash someday. It is not a question of it, but when. There is only one solution – to backup your data. Is my data safe after you perform data recovery service? Yes, we keep your recovered data on encrypted container in our office. We can also upload it to encrypted cloud for you to download if you wish so. We take privacy and security very seriously.